Simmers Contracts Ltd are proud to support a wide range of local charities. Last year, Friends of Anchor, which champions cancer support, haematology care and treatments for patients throughout the North-east, launched its major anniversary event for the Dream Big Campaign "20for20." Twenty iconic anchor sculptures were designed by local artists, including the daughter of one of our Simmers employees, Laura Bremner. 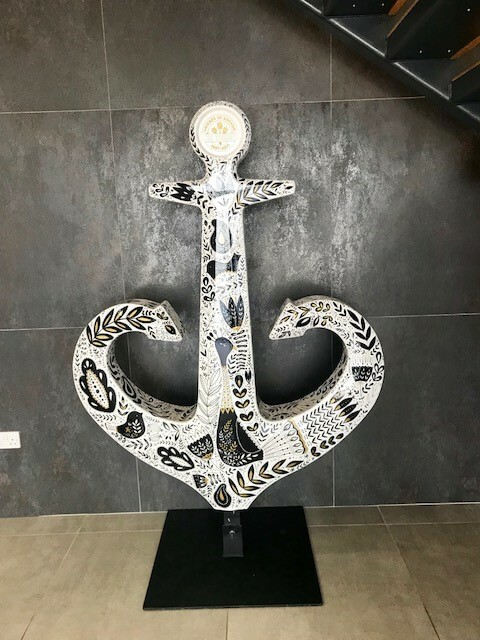 Each anchor was then available for sponsor and we are delighted to announce that at a recent charity event Simmers Contracts won this anchor at auction. The anchor is now proudly on display in our reception area!